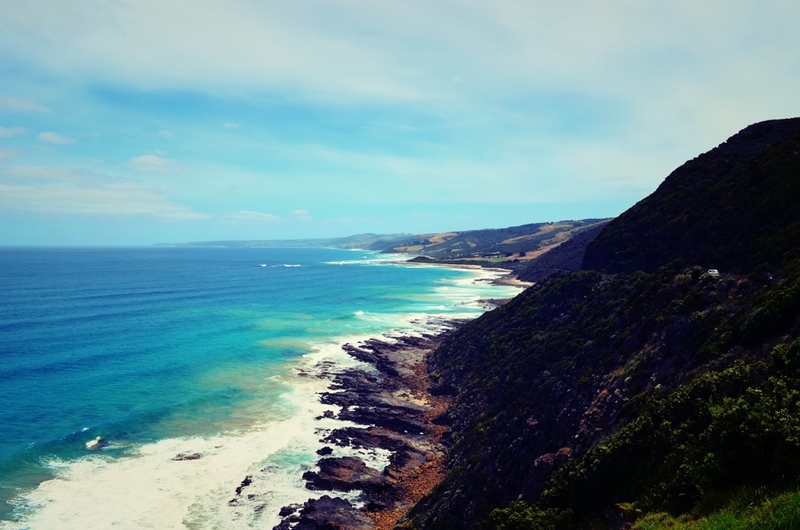 Before I came away, I’d sit at home on Google images looking at the amazing scenes of the Great Ocean Road – it was probably the trip I was most excited to do in Australia! We decided to book on to a 3 day tour with Groovy Grape, booked through STA Travel. This particular one was a 3 day/2 night itinerary and cost us around $400 with all our food and hostel accommodation included. After a couple of months of independent travelling prior to this, I can’t explain how great it was being able to relax and let the guide take us to all the best places and lookouts. At the same time, lots of people rent a car and drive it independently, as the route is quite self explanatory and you have the flexibility of being able to spend as much time as you like along the route. After a very early 6am start, we met our tour guide for the next 3 days, an aussie guy called Leith who was great! After picking everyone up from around Adelaide, we set off in our little bus where we were to spend the majority of our time for the next 3 days! The first day was A LOT of driving – through some beautiful coastal landscape every so often but mostly this day was just on the road. 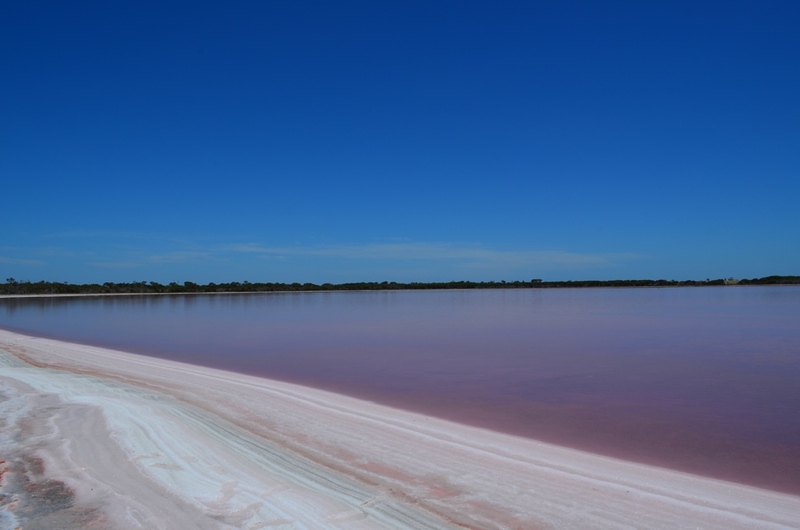 One of our first stops was a natural pink salt lake – one of the most beautiful natural scenes I’d ever seen! Its bright pink colour was from something to do with the mixing of red sand and water…and the lake was solid salt so we could actually walk right over it which seemed weird! Was an amazing sight and could have stayed a lot longer than we did…but on we went! 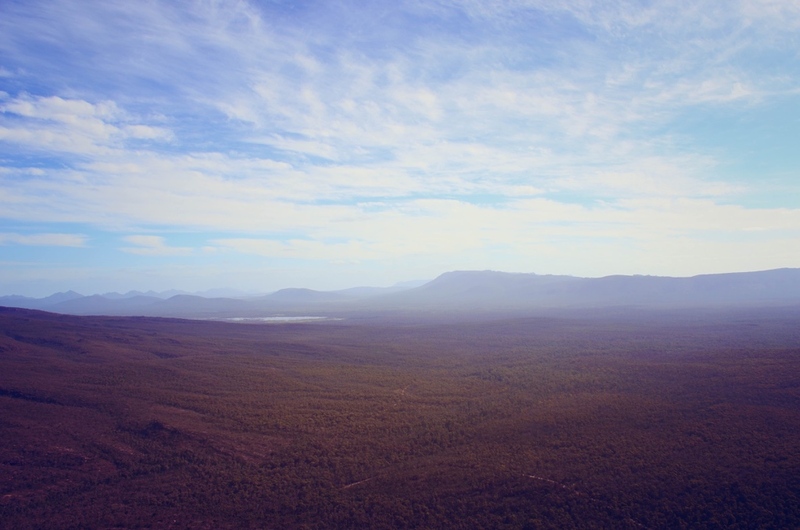 Between various other stop offs and look out points, we made lunch as a group and settled down on Mount Arapiles to eat in the sun, getting to know each other for the first time, since we’d all spent most of the morning napping on the bus. 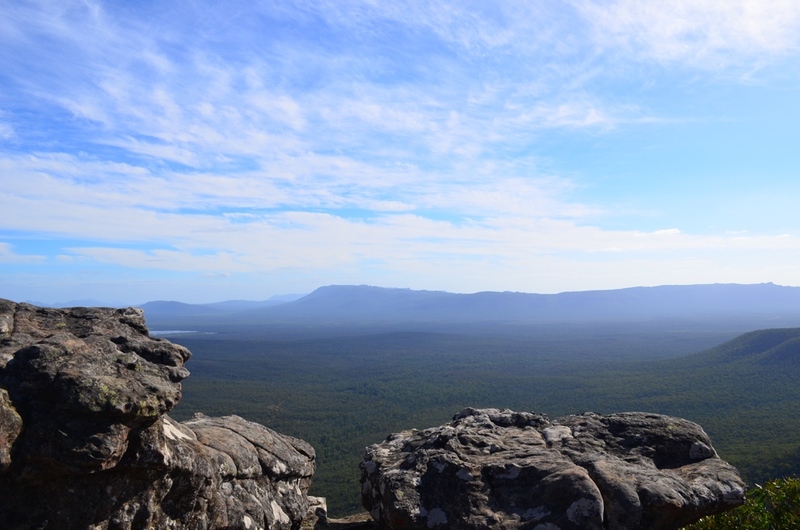 Our first major stop off was the Grampians National Park, where we trekked over sand and rocks and came to the most beautiful viewing platform ever! Everyone clambered over to the edge for a photo! We followed the Mackenzie falls right from its source down a steep flight of steps down to the base, where there was the most amazing rainbow! Beautiful scenes! After another few hours on the bus, we came to an exciting point of the trip, especially for me – my first sighting of kangaroos ever!!! There were so many of them all bouncing around on the grass – it was great to watch them but we were warned not to get too close as these were wild ones and can be dangerous! I can’t wait to go and see them more closely and feed them in a park! That night we stayed in a hostel in the heart of the National Park and drank our ‘goon’ we’d picked up from the drive-thru bottle-o! Today was the day of the ‘big trek’ as Leith kept reminding us! So off we went in our trainers to climb the mountain path which was made up of giant rocks with a sort of vague route marked out in yellow arrows! It was freezing cold and about 7.30pm so not my ideal time to be climbing up a mountain – but soon the sweat and the pace picked up and after just over an hour, we made it to the top! 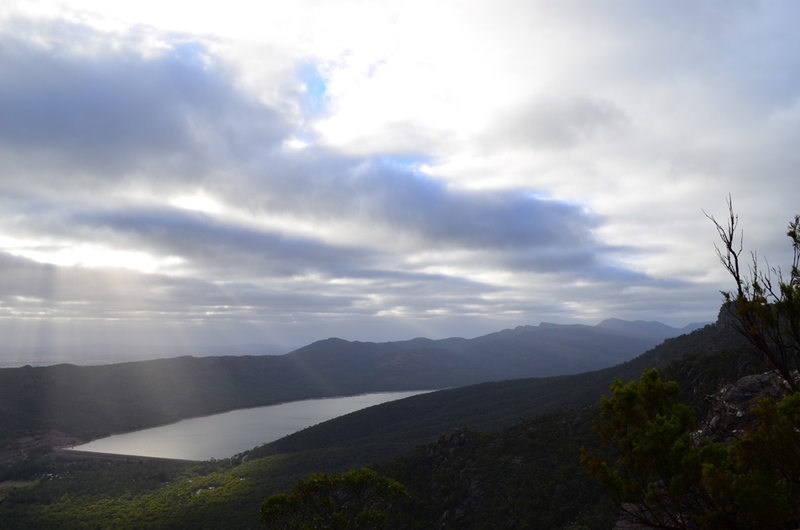 The sun still hadn’t come out so disappointingly the view was grey and cloudy and not as amazing as I had hoped! But it definitely woke us up! Everyone had perked up a bit now as the dreaded trek was out of the way and we were on our way to see the actual Great Ocean Road that afternoon! Lunch stop was at a wildlife park just slightly further along the route, so after another group effort of a barbecue picnic, we wandered around and managed to spot some koalas up in the trees! It was literally just a sighting though – as they sit so far up and sleep the entire day so there was no chance of them moving at all, the guy in the gift shop had told us. 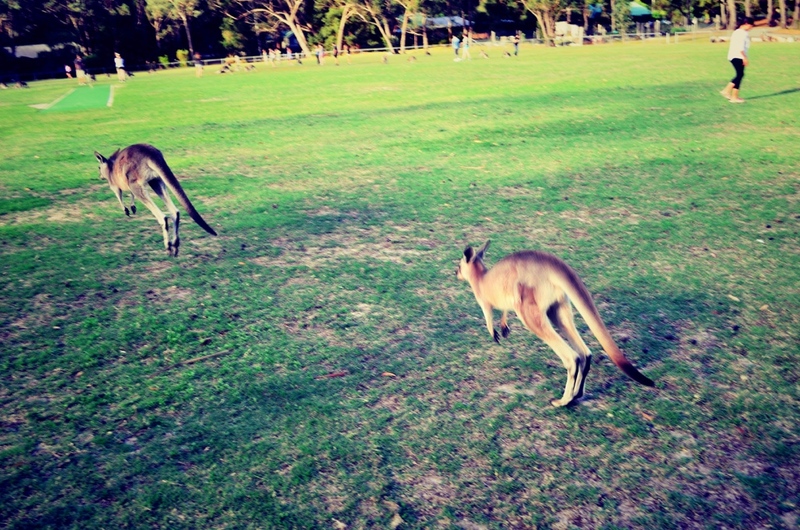 But I was excited to have seen both kangaroos and koalas in two days in a row! 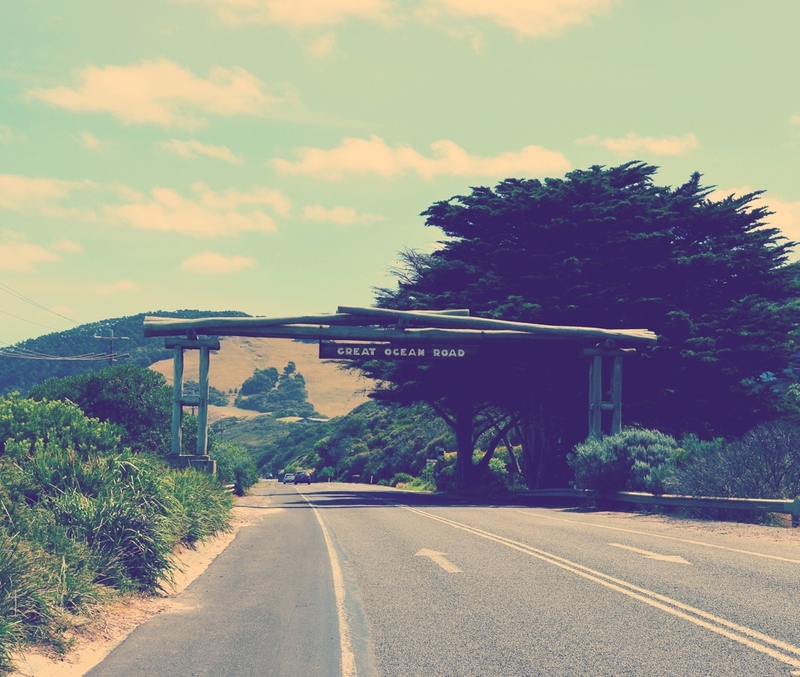 As the bus headed further and further along the coast, we finally arrived at the official road sign announcing the beginning of the Great Ocean Road! 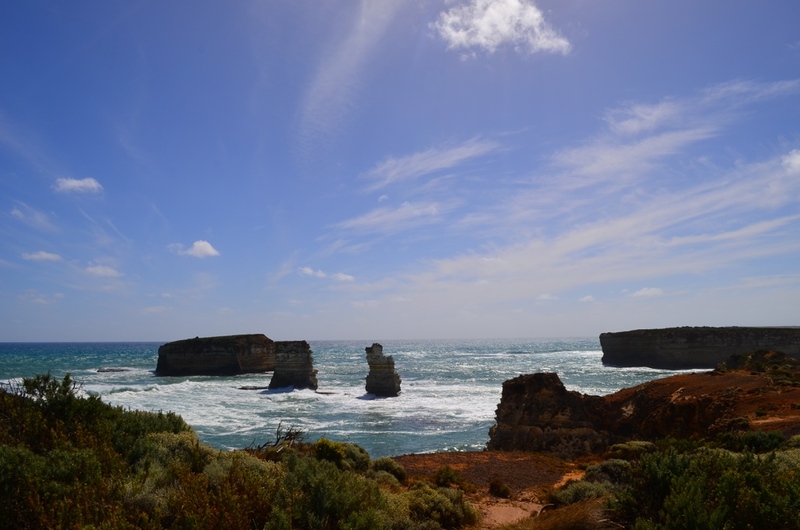 We stopped off at lots of different viewing platforms and lookout points including the Loch Ard Gorge, the famously named ‘London Bridge’ which now only has one arch instead of two as the other has eroded, the Bay of Martyrs and plenty more – with Leith the tour guide telling us stories and its history as we went along! 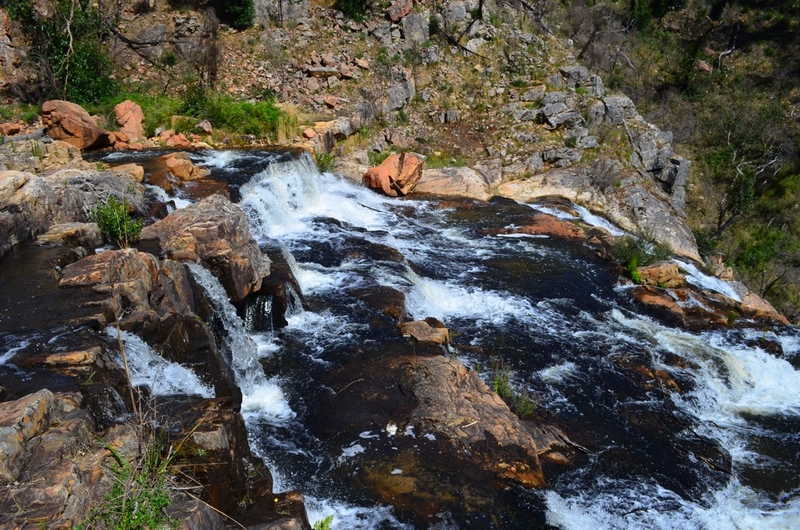 The views were just incredible – and definitely lived up to the amazing pictures I had seen. The colours of the clear turquoise sea and its white froth against the white sand beaches and the amazing bright blue skies can’t be compared to anything else and I’ll always remember those views, as photos just don’t do it justice! 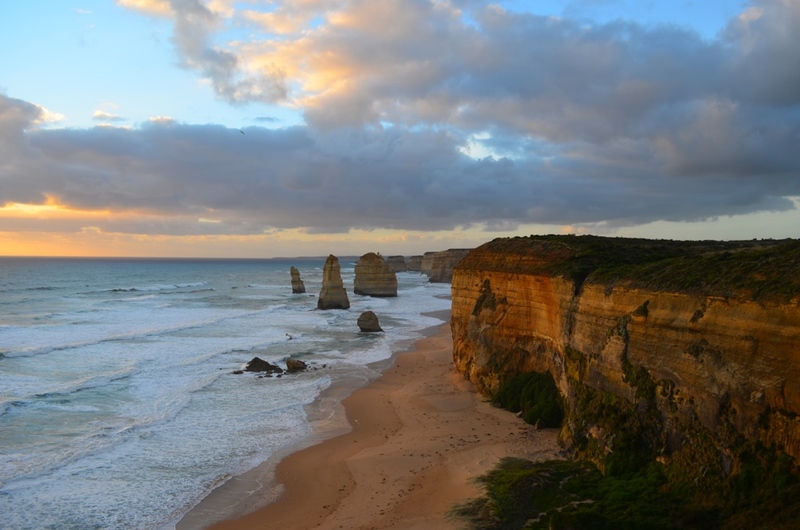 That evening was one of the most memorable so far on the whole of our Aussie trip – as we headed to the 12 Apostles just in time for sunset! The wind was freezing and we huddled together on the viewing platform wrapped up warm in jumpers with a few ciders in hand, and watched in awe as the sun set over the beautiful beach and the famous landmark! I had seen it so many times in pictures and on postcards that it was a bit surreal to actually be standing there in front of it – it was just amazing! 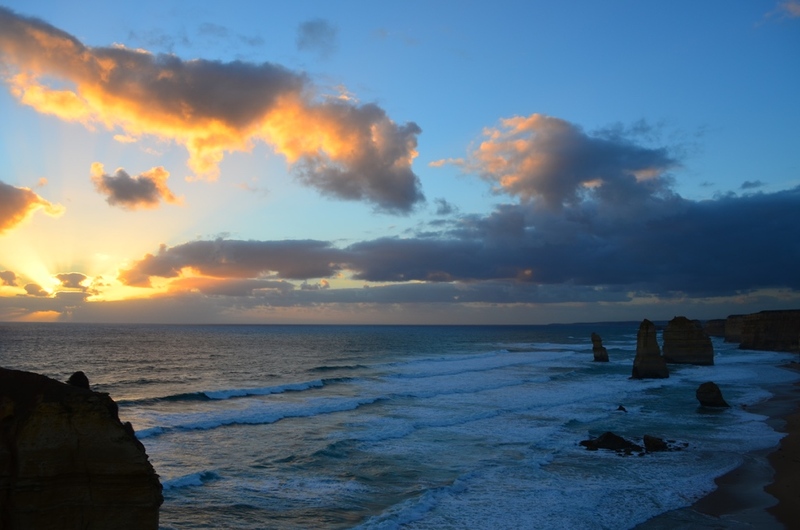 After another brief morning visit to the 12 Apostles (they looked exactly the same minus the sunset), we headed off for one of our last stops of the trip – the Otway National Park. The highlight was a short walk through the rainforest – which was cold and damp as no sunlight was ever let through the massive canopy of trees above us! It was beautiful though – giant great trees all intertwining with each other and into the ground, and stumps of trees which had fallen or been cut down had joined themselves to everything around them and into the earth. 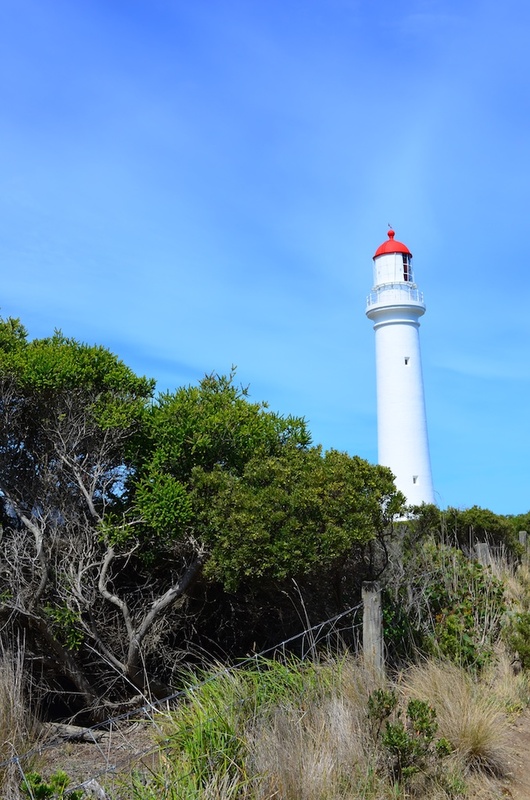 In between all the driving and the home stretch to Melbourne, we stopped off at Apollo Bay & Lorne for coffees and snacks as it was now mid morning, visited a small seaside town called Anglesea whose main attraction is the white lighthouse which the 90s TV series ‘Around the Twist’ was based on (I had never heard of it either)! We walked along the famous surf beach Bells Beach where we watched the amazing surfers and hand surfers in the sky, and looked out at more amazing coastal views! 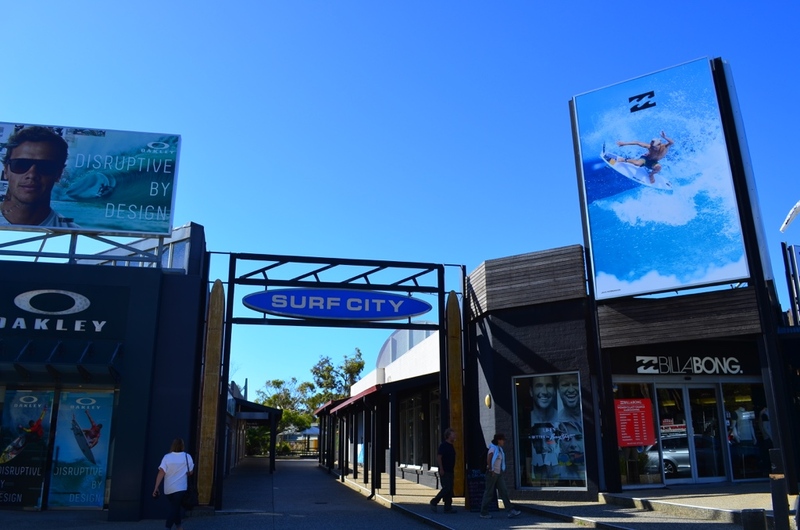 Final stop was Torquay, a lovely little beachside town full of surf shops and home of the famous surf brands Ripcurl and Quiksilver! As sad as we were to have finished the tour and be leaving all the friends that we’d made over the last few days (we’d become a little family! ), we were exhausted and happy and excited to be heading to Melbourne for a good night’s sleep and no setting of the 6am alarm!